The paintings of Isabelle Sorrell recompose elements of existing physical landscapes to create scenes reminiscent of real places, revealing their magic-like qualities. In The Land (On Measures and Weights) the image is a composed landscape that refers to no true space. In this piece, wilderness (The Grand Tetons), seen from a distance starts without a clear image at its inception, yet is achieved by a drive to reach an intuitive atmosphere. The artist’s rendering is thus one of utopia, rather than of verisimilitude. Even in paintings such as There Is No God Crack (Left and/or Right ), a rock climb in the High Sierra’s pristine landscape sets in motion the questioning of belief, and the focus is unconventionally distorted. The foreground is blurred and the background is in focus. The realism is one of the spirit and the imagination. Sorrell draws on personal experiences and photographic/cinematographic sources, all while focusing on the elemental gesture of the brush stroke, as a result of years practicing Chinese calligraphy and Kung Fu. She holds an MFA in Painting from the San Francisco Art Institute. In 2010 she had a solo exhibition Latitudes and Longitudes at the Meridian Gallery in San Francisco. 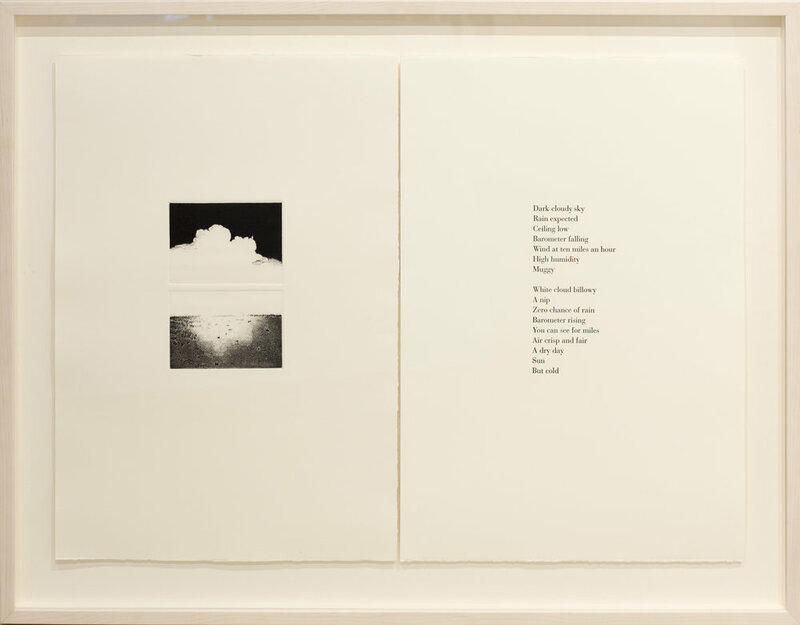 She has also published numerous artist books in letterpress and intaglio.